SAW003592 SCOTLAND (1947). Loch Leven and Mam na Gualainn. An oblique aerial photograph taken facing west. Title [SAW003592] Loch Leven and Mam na Gualainn. An oblique aerial photograph taken facing west. 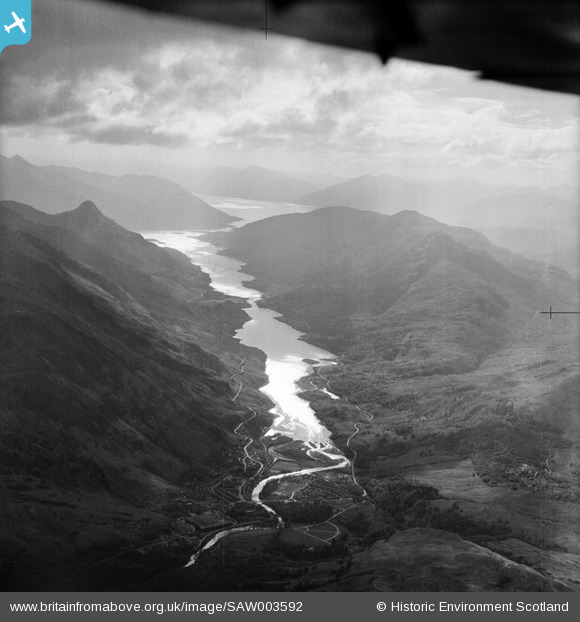 Compare this image with the clearer vertical aerial shot taken 6 years earlier by the RAF, available on the RCAHMS NCAP website at http://bit.ly/PQsJBN.